This Handbook contains everything you need to know about this classic Secret Compass expedition to summit Mount Damavand in Iran. Read on to discover our ethos and team-centred approach and for the nitty gritty like flight and visa advice, insurance requirements and kit recommendations. Use the buttons below to ask questions or to apply for this team or, once approved, to secure your spot on the team with a Booking Form and a £400 deposit. Arrive: by 1200 on the 5 August into the team hotel in Tehran. Depart: leave any time on the 16 August. Insurance: Ensure you have comprehensive cover. Docs: send your flight, insurance and passport copy in. Balance due: 90 days before departure on 5 May. Find FAQ and Testimonials online. The aim of this Iran expedition is to complete a traverse of the Lar National Park, making a summit attempt of Mount Damavand (5610m). In preparation, the team will also be making summit attempts on several neighbouring peaks over 4000m. Not only do these peaks serve as an adventurous addition but also provide excellent opportunity for vital acclimatisation, increasing the team’s chances of summit success. Experience the raw, natural beauty of Iran. Climb Asia’s highest volcano, Damavand (5640 m). Aim to also summit Azad Kuh (4355 m) and Kholeno (4375 m). Trek through the Lar National Park from west to east. Relax in Tehran with the opportunity to explore this ancient city. You need to organise your own international flights. We have a unique partnership with Student Universe (a specialist division of the Flight Centre Travel Group and no, you don’t have to be a student to use them). The dedicated Secret Compass team understand us, our destinations and use global buying power to save you money and offer security along with a 24hour assistance helpline. Fill in a contact form or call (UK) 0844 560 9799 for assistance in booking international flights. It is advised that you book a flexible flight ticket that can be changed for fee or refunded if the expedition dates are changed or if it is cancelled for any reason. You need to be at the team hotel in Tehran by 1200 on the 5 August 2018 and the expedition officially ends after breakfast on the 16 August 2018 although you are free to depart anytime as many flights depart early in the morning. Insurance that provides cover for emergency repatriation in case of a medical emergency is compulsory for all expeditions. You should be aware that many standard insurance policies may not cover you adequately for all aspects of a remote expedition and so we strongly recommend that you purchase a suitably designed insurance policy. Secret Compass cannot comment on the suitability of your cover so if you are in any doubt please contact your policy provider and ask them to confirm that you are covered to our minimum standard (below). a. Emergency medical repatriation (to home country) including any associated expenses abroad of at least $500,000. b. Activities – ensure that any activities carried out on the expedition are included, these could be trekking, horse riding, rafting, mountain biking etc. c. Geographical region – check the geographical region you are going to is insured (often the US and Canada or countries such as Afghanistan are not insured). e. Dates – make sure the period of cover begins at the departure and ends at the return to your home country. Many flights take a day or two and time zones vary. Insurance companies may prejudice your claims due to this. f. Pre-existing medical conditions – if you have any pre-existing medical conditions please ensure you disclose this to your insurance company and to Secret Compass. Prior to travel Secret Compass will require the name of your insurance policy provider, their 24hour emergency contact number and your policy number. For full information on travel insurance and links to suggested companies, please visit the insurance page on our website. Visas are your responsibility. The application process is in two stages: a visa reference number then the visa application itself. Secret Compass will provide a comprehensive document detailing the application process and will apply for your visa reference number, however visa applications remain your responsibility and you are encouraged to start the process at least two months before departure. British, American and Canadian travellers will be required to submit copies of CVs and social media links to support their visa application. They should also be accompanied at all times in Iran by a government approved guide. Some nationalities are eligible for visas on arrival however this is not recommended as the VOA service has been suspended at short notice in the past. Please note that recent changes to US entry requirements mean that if you live in a country which is part of the US Visa Waiver Program but have recently (since 2011) travelled to Sudan then you will not be able to use the Visa Waiver Program and must apply for a full visa to travel to the US. See here for more details. You should have a passport valid for 6 months beyond the date of visa application and covering the duration of the expedition and your travel dates. Please note if your passport has an Israeli stamp you may be refused entry to Iran. Please send a clear, colour copy of your passport to Secret Compass ahead of the expedition and carry photocopies with you on the expedition in a safe place. Arrive at the team hotel in Tehran by 1200 for an expedition briefing and shopping trip for expedition supplies. Many flights arrive very early in the morning so you may wish to arrange an extra night’s accommodation. Drive from Tehran to the trailhead for your trek. En route you’ll be able to see your final goal, Mt Damavand. Meet your local support team and mules in the village and redistribute supplies before trekking a short way to this evening’s campsite in the shadow of Azad Khuh. Trek through the Lar National Park taking in the summits of Azad Khuh (4355 m), Big Kholeno (4375 m) and Little Kholeno. Even with mules to carry food supplies, this will be a challenging trek with considerable height gain and loss as you cross river valleys and high passes to reach the base of Mt Damavand. From this point, the team will be self-sufficient as they bid farewell to the support crew and mules for the summit attempt. Start your ascent of Mt Damavand from the western side, this route is far less busy than the popular southern ascent so you may even have the mountain to yourselves. The pace will be steady as, even with your days of acclimatisation, the route is steep and conditions may be challenging. Reach Simorgh Hut (4200 m) for the night in time to relax and enjoy the spectacular sunset and (hopefully) far-ranging views towards the Caspian Sea. An early start for a summit attempt on Mt Damavand, the highest volcano in Asia. This will be a long day as the team ascend to the summit at 5610m before descending the southern route of the mountain towards Tehran. Depending on the team’s speed and mountain conditions, tonight will be spent camping at the mountain hut en route or back in a comfortable hotel in Tehran having been picked up at the base of the mountain. Today is a contingency day for use during the trek or on Mt Damavand. If the team are on schedule, there will be a full day of sightseeing in Tehran to round off your adventure through this diverse and unique country before the team head out for a final celebratory meal. The expedition officially ends after breakfast today although you are free to depart at any time as many flights leave in the early hours. If you are extending your stay, please ensure your visa is valid for the entire duration of your trip and you make any necessary arrangements for guides as required by your nationality. Please remember that this itinerary acts as a framework plan. It provides guidance as to our intentions but will not be followed religiously. This is an adventure and by definition the outcome is uncertain. The leadership team may flex and change the plan depending on numerous frictions encountered en route. An adaptable, team-centred approach is required. b. Walk – up to 25km a day. c. Carrying – up to 20kg. d. Terrain – Over varied terrain including possible snow pack, loose rock, mountain meadows and river crossings. Team members would benefit from multi-day trekking and being used to carrying up to 20kg for consecutive days. The expedition will be mule-supported to carry food supplies but team members must be fit enough to carry all of their equipment and a share of the group kit for up to 25km a day at a reasonable trekking pace and, for the summit attempt on Damavand, also carry 48 hours worth of food. Vaccinations. Please seek advice from your health professional on recommended vaccinations. The NHS websites FitforTravel and TravelHealthPro are useful sources of information. Dental. It is strongly recommended that you have a dental check up prior to departure. Dental problems far from help are VERY unpleasant! The local currency is Iranian Rials. Currently you cannot withdraw cash from ATM machines using foreign cards (although this may change before the expedition departs) so you should bring GBP, EUR or USD to change into local currency. This expedition is all-inclusive so you won’t need much money – only really if you want to buy some souvenirs on the way. Home to You. Secret Compass will have an Ops Room manned in the UK throughout your expedition. If your family need to get in touch with you due to an EMERGENCY your family can call the Ops Room on +44 (0) 207 096 8428. The Ops Room will ensure the message gets to the expedition within 24 hours. Unfortunately we are unable to pass routine messages between your family members and you. You to Home. Secret Compass will have satellite phones for emergency use only and these cannot be used for personal messages home unless in extremis. Please reassure your family that we have their contact details (NOK information provided on your Booking Form) and that no news is good news! Cell Phone. Your mobile roaming will work in Tehran, you are unlikely to get signal whilst on Mount Damavand or in Lar National Park. The following is a suggested kit list for the 2018 expedition to Mount Damavand. Secret Compass consider some items essential so please read the list thoroughly and contact our Operations team with any questions. You will be required to carry all of your own kit for this expedition along with a share of a technical mountain tent, medical and communications pack. Mules will be used to transfer expedition food although team members must be self-sufficient on Mt Damavand and carry 48hours of rations. Secret Compass will supply tents, stoves, and helmets. Secret Compass have arranged team members discounts with Cotswold Outdoor, Nordic Life, Outdoor Hire and Expedition Kit Hire, details of these will be sent through on booking. RUCKSACK (60-70 ltr): A comfortable rucksack that fits your back, a good outdoor shop will be able to help with fitting. All your personal gear needs to fit easily into this pack and have enough room for a tent, food on Damavand and share of group equipment provided by us. WATERPROOF RUCKSACK LINER: Sealable “canoe” or “dry” bags made by Podsac or Ortlieb. You need a large one to line your rucksack. SMALLER DRY BAG (optional): As above, but smaller bags to put essential items in. The large rucksack liners sometimes leak so anything important needs to be waterproofed individually. This also helps to keep you organised. SLEEPING BAG: Rated to at least comfort -15ºC. 3-season is absolute minimum. Add a liner for extra warmth. Down is good but may need waterproof protection e.g. a bivi bag and waterproof stuff sack. FULL LENGTH SLEEPING MAT: Bring a repair kit! LONG SLEEVE SHIRT: 2 x quick drying long sleeve trekking shirt or top (not cotton). WATERPROOF SHELL: 1 x gore-tex or the equivalent. WATERPROOF TROUSERS: 1 x gore-tex or equivalent. THERMAL BASE LAYER: 1 x top and bottom. Merino wool or synthetic mix is great. Do NOT bring cotton. TREKKING TROUSERS: 2 x thin trekking trousers that dry quickly and are comfortable. MID LAYER: 1 x micro fleece or equivalent. DOWN JACKET: 1 x expedition down jacket or synthetic equivalent suitable for summit use at -20C in conjunction with your layering systems. HIKING SOCKS: 4 x pairs, well fitting with your boots and comfortable. WALKING BOOTS: Ensure your boots are worn in and comfortable with good ankle support. Recommend you visit your local outdoor store for advice on fitting. GLOVES: 1 x waterproof cold weather gloves with wind protection. We suggest bringing a thinner pair of fleece liner gloves in addition. SANDALS: To wear in an evening instead of your boots and for river crossings. Do not bring flipflops. HEADSCARF: Must be worn by women in public. Textured cotton or linen stay in place better than silk or synthetic, hair pins also help with this. CASUAL CLOTHES: For arrival in Tehran and sightseeing. Women must cover their heads with a headscarf, wear trousers (or a floor length skirt), and a long-sleeved tunic or coat that reaches to mid-thigh or knee. Men should wear long trousers and long-sleeve shirts. ROBUST WATER BOTTLES: 2/3 x Nalgene or Sigg are recommended. You need to be able to carry a minimum of 3 litres of water. If you choose to use a bladder system, consider a bottle backup or hose insulation for the summit attempt on Mt Damavand because un-insulated hoses can freeze. : Lightweight mug, bowl, cutlery or spork. WASHBAG, TOOTHBRUSH & TOOTHPASTE (optional): Ensure it breaks down small. You do not need a large travel washbag – small dry bags or sealable sandwich bags work well. SOAP (optional): Anti bacterial and BIODEGRADABLE. TRAVEL TOWEL/SARONG (optional): Quick drying is ideal. WET WIPES OR BABY WIPES: To clean yourself with. TOILET PAPER (optional): Travel tissues are ideal. SANITARY PRODUCTS (optional): Bring nappy bags to remove used items from the national park and mountainside. LIP SLAVE WITH UV PROTECTION: This is essential. Chapped lips are painful. VASELINE: Keep readily available to prevent chafing skin ad heel friction blisters. MYCIL FOOT POWDER OR EQUIVALENT: Very useful for keeping your feet and other sweaty areas dry at night. AFTER SUN / MOISTURISER: (optional). WATERPROOF BAG OR TUPPERWARE BOX: Keep kit fry and safe. PAIN KILLERS: Ibuprofen and paracetamol. ZINC OXIDE TAPE AND SMALL SCISSORS: Leukoplast is great if you can source it. COMPEED BLISTER PADS: Please note that Compeed produce several similar-looking blister packs for corns, etc. Please ensure you purchase the standard / original item. REHYDRATION PACKS: Nuun or Zero tablets work well as a preventative measure. PIRITON TABLETS (optional): For allergies. ANY MEDICATION YOU NORMALLY USE: It may be useful to find out the generic/chemical name for the medication in case you need to source more in-country. Please also check whether your particular medication is legal in your destination. You must disclose any pre-existing medical conditions to Secret Compass. WALKING POLES: Collapsible trekking poles. HELMET: There can be loose material on the ascent and descent of Mt Damavand. Secret Compass will supply climbing helmets to the team, however if you prefer to bring your own please just let us know. PENKNIFE: (optional) Remember not to pack in hand luggage! GAFFA TAPE (optional): For emergency repairs to your kit, you can take some off the roll and wrap it around something else in your kit like a water bottle. SPARE BOOT LACES (optional): Also handy for fixing gear, creating washing lines, etc. RE-SEALABLE PLASTIC BAGS (optional): For dirty washing, wrappings, etc. WATER PURIFICATION TABLETS (optional): Secret Compass will purify all water and these will likely not be needed, they are a back up in case our systems fail! PHOTOCOPIES OF YOUR PASSPORT AND VISA: Don’t keep this in the same places as your original passport. Secret Compass organises expeditions, not sightseeing tours. Our expeditions are team-centred, flexible and dynamic. Teams are managed on the ground by Secret Compass staff: industry-leading professionals and guides of the highest calibre. They put the structure in place for your team to have an incredible experience while achieving your expedition’s aims. Our people are as passionate as you are about achieving the extraordinary in the world’s wildest places. Secret Compass teams often go to places that others don’t. This makes our expeditions truly different, taking you beneath the skin and beyond the headlines of the world’s most remote reaches. Inspired by history’s great explorers and challenges, you’ll be set ambitious goals and will overcome similar hardships to those experienced on the audacious journeys of the past. Remember this is not an organised tour. It is an adventure. More often than not expeditions don’t run smoothly! The nature of the areas we operate in mean that we will encounter a number of challenges that we expect everyone to meet and relish. Friction and hurdles are all part and parcel of an arduous expedition and also to our success as a team. These make the journey more interesting and are often the best and most amusing parts when looking back. Each expedition is thoroughly reviewed on its return and team members will have the opportunity to provide feedback which helps to inform planning for future expeditions. Our teammates can only achieve the extraordinary with the help of people in the communities we travel through. NGO and aid workers, guides, fixers and interpreters all work extremely hard and are generous in their hospitality to us and our teams: visitors in their land. They are crucial to our success. Please remember and respect that their perspectives and concepts of time, environmental responsibility and customer service might differ to yours. Occasionally there is no established protocol for outside visitors which means we encounter local power struggles or disagreements. Our leaders have years of experience in delicate negotiations like these and conversational chess – especially through an interpreter – and these interchanges are often memorable parts of any expedition. The areas we travel to often especially remote. Transport infrastructure can be ageing, inadequate or non-existent. Flooded roads, collapsed bridges, fallen trees and vehicle break-downs are all par for the course. Our teams thrive on overcoming challenges like these – be prepared to get stuck in and push occasionally! 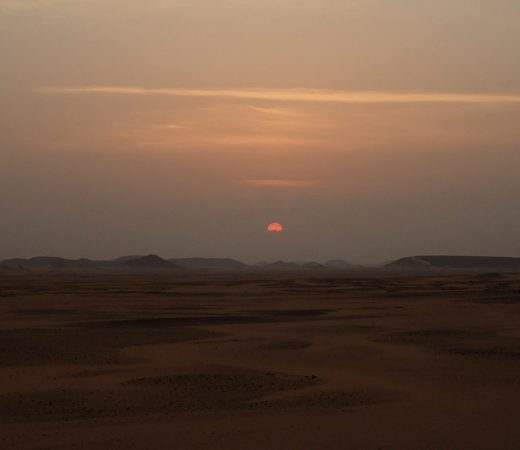 Natural phenomena like desert sand storms, early monsoons, landslides across key routes, winter coming early, gale force winds and driving snow can all make for a more interesting time on the expedition. 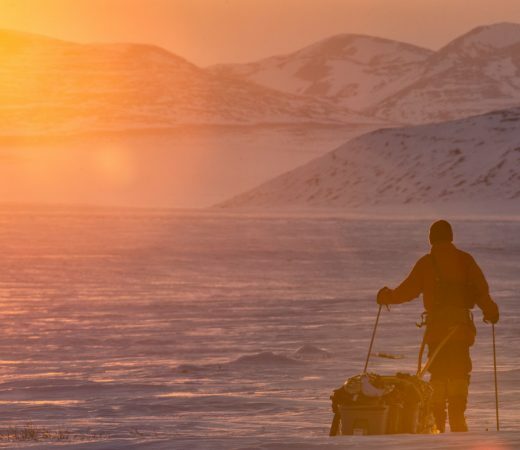 Secret Compass fosters a team mentality across all its expeditions and projects. Like all teams you will have a leader who will give direction to your progress. Crucial to your team’s success – especially when the going gets tough – is the attitude of the teammates working together to achieve the aim. You really are part of a team, not a cosseted guest on a tour. We ask teammates to muck in and help out any aspect of the expedition, from fetching water and helping to prepare and cook food, to carrying some group kit and equipment if required. The working language of all teams is English. There really is no typical expedition member, though everyone needs to be fit, healthy and ready to take on the expedition’s aim by the time of departure. Participants range from 21 to 65+ in age and come from all over the world. Backgrounds include contract workers and engineers, IT specialists and students, teachers and literature lovers, journalists and keen photographers and so many more. What bonds our pioneering teams is their shared spirit of adventure and their sense of humour and positive outlook. A good teammate looks on the bright side when the 4×4 breaks down, the rain comes early and when a meal is distinctly pedestrian. Our teammates help each other, look out for each, encourage each other and help each other when needed. Our teams have done us proud in working together to achieve their common goal: the aim of the expedition. If this sounds like you, you’ve come to the right expedition company. You need a robust, spirited and can-do attitude to cope with demanding days and rough camping in rugged and wild places. You’ll cover good daily distances (generally carrying your own kit and equipment), eating expedition foods or relying on local food sources. These elements combine to create the unique character of each expedition. On expedition, challenges, frictions and changes to plans are inevitable. Teammates should meet and relish these as an integral part of any arduous expedition and its ultimate success. Such things make the journey more interesting and are often most memorable parts when looking back. Secret Compass is an expedition company not a tour company. Expeditions contain inherent risk. This is part of the appeal for teammates. We do not make expeditions safe as, by definition, that is impossible. We construct and implement a three-staged risk management approach to reduce risk to what we perceive as a tolerable level. We conduct a thorough risk assessment of potential hazards and threats that may be encountered on the expedition and provide recommendations to reduce the likelihood of harm occurring/ severity if it does occur. As part of our expedition plan, we detail actions to be taken to implement and resource the recommendations of the risk assessment. This includes a detailed medical and communications plan. The expedition leader is responsible for dynamic risk management on the expedition itself. As part of the safety plan, Secret Compass has a full incident and emergency plan for medical and other emergencies. This will be discussed in full at the arrival brief, so everyone is aware what action will be taken. In summary, incidences are usually managed on the ground by the expedition leader in the first instance with remote support from Secret Compass’s 24 hour Operations Room before evacuation to the nearest appropriate medical centre. It is your responsibility to understand the risks associated with adventure travel in remote areas. You also must understand that medical evacuation will take an extended period of time (potentially up to 2 days) and will require wilderness extraction techniques and long carries by stretcher. In-country search and rescue and emergency services are very basic or non-existent and the expedition will rely on internal resources for medical evacuation. By joining this expedition, you accept the risks associated with the venture. If you require any more information on specific risk management for this expedition, or would like to speak to us about our medical planning prior to the trip, please get in touch. Read team Testimonials or watch this short video featuring expedition teammates (filmed on location in Ethiopia) for an insight into life on expedition. Islamic codes of behaviour and dress are strictly enforced. In any public place women must cover their heads with a headscarf, wear trousers (or a floor length skirt), and a long-sleeved tunic or coat that reaches to mid-thigh or knee. Men should wear long trousers and long-sleeve shirts. The import, sale, manufacture and consumption of alcohol in Iran is strictly forbidden on religious grounds, with no exceptions for foreigners. 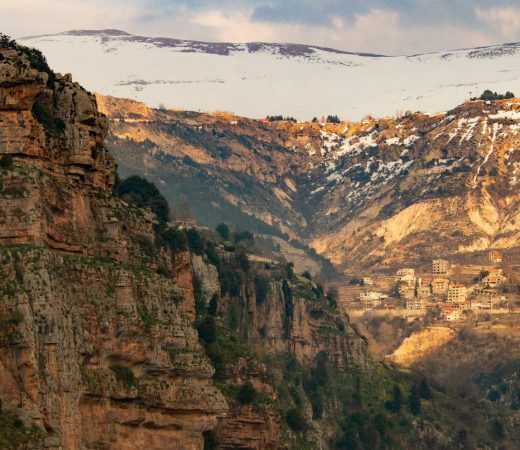 This expedition will cover a variety of terrain from dirt tracks, rolling meadows and scree slopes to (possibly) snowy peaks and exposed ridges. The longest trekking days will be through valley floors with river crossings whilst even the shorter days of ascent will be made more challenging by the altitude with four peaks over 4000m on the itinerary. August may be the summer in Iran, however evenings and nights can still be chilly with temperatures on Damavand regularly reaching -15C with high winds. In contrast, temperatures in Tehran and at lower altitudes can easily reach +25C. Tehran Imam Khomeini International Airport is located outside of the city – team members are responsible for their own transfers between the airport and the team accommodation at the start and end of the expedition. Transfers are available by bus or taxi depending on your arrival time and have fixed rates (payable in Euro or USD) to the city centre. Traffic in Tehran is notoriously bad and this drive can often take an hour. Depending on the final team size, 4×4 vehicles or minibuses will be used to transport the team between Tehran and Kalek Bala village, from there the rest of the expedition will be on foot until the team descend from Mount Damavand and are collected for the drive back to Tehran. The team will stay in a comfortable hotel in Tehran at the start and end of the expedition, rooms will be on a twin-share basis and the hotel will be able to store any luggage which isn’t required for the expedition, any extra nights outside of the Secret Compass itinerary can be booked directly with the hotel. Throughout the expedition, the team will be camping in technical mountain tents provided by Secret Compass and shared between two people. These will be carried by the team members in addition to their personal equipment, and food and cooking equipment on Damavand. In Tehran, the team will eat well in local restaurants. Throughout the trek, the team will be accompanied by a local cook with food supplies carried by mules to lighten the load, the team will be required to assist with preparing and cleaning up after meals. Whilst on Mt Damavand, the team will carry all supplies and prepare their own food. Dietary requirements can usually be catered for but should be discussed with Secret Compass in advance, vegetarians often struggle in Iran so may need to bring a protein source with them. 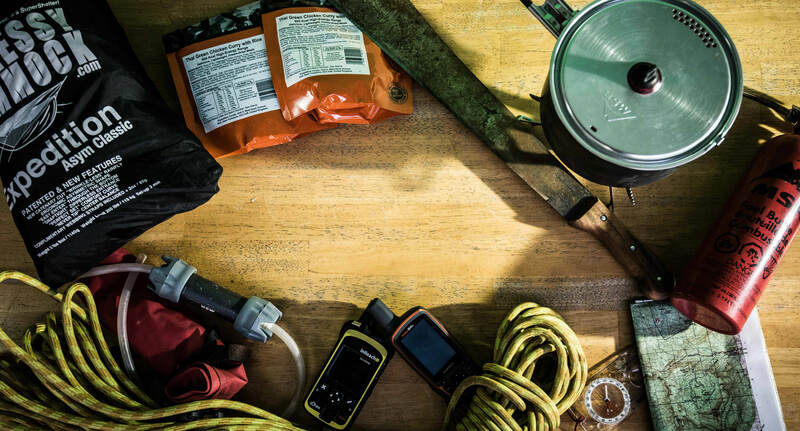 It is recommended that you bring a favourite snack or cereal bar for each expedition day as a moral boost. Here are some frequently asked questions that are specific to this expedition. Read our general FAQ too for questions such as ‘how do I join an expedition’ and more. Can’t find your answer? Contact SCHQ. I’m a vegetarian. Can I join? Teammates with dietary requirements are welcome to apply for this expedition and should state their specific requirements when applying. If you are on a restricted diet Secret Compass may suggest you bring items with you to supplement your meals. Can I bring my own tent? If you have a lightweight, technical tent you’d like to bring on this expedition, let Secret Compass know in advance so we can advise on its suitability. Teammates are welcome to bring their own helmet, please make sure it is a climbing helmet and well-fitting and let Secret Compass know so we don’t bring one out for you. Can I charge all my electricals? Once the team leave Tehran there will no access to mains power. Please ensure that you are self-sufficient in terms of charging your appliances by bringing things like spare batteries, lightweight solar panels or power packs to avoid frustration. There will be mobile signal in Tehran and the villages at the start and end of the trek however you should plan on having no signal throughout the entire trekking phase. Is it hard to get an Iranian visa? Secret Compass will provide booked teammates with a detailed document outlining the visa application process in a timely manner. Secret Compass will submit applications for a visa reference number for all team members, which is required for your application. The whole application process may take over a month for some nationalities. Visas are ultimately your responsibility and Secret Compass cannot guarantee that you will be issued one as the final decision rests with the MFA in Tehran. Some nationalities are required to provide additional information such as CVs to support their visa application. Are You Crazy? Don’t Go There It’s Dangerous!